I was commission by Eugene Tunick, Executive Vice President of Orion Pictures Corporation to paint a pastel painting of Sylvester Stallone from the film “First Blood.” Because of this painting my wife and I got invited to the Academy Awards. It was such a thrill to walk down the red carpet behind Gandhi. 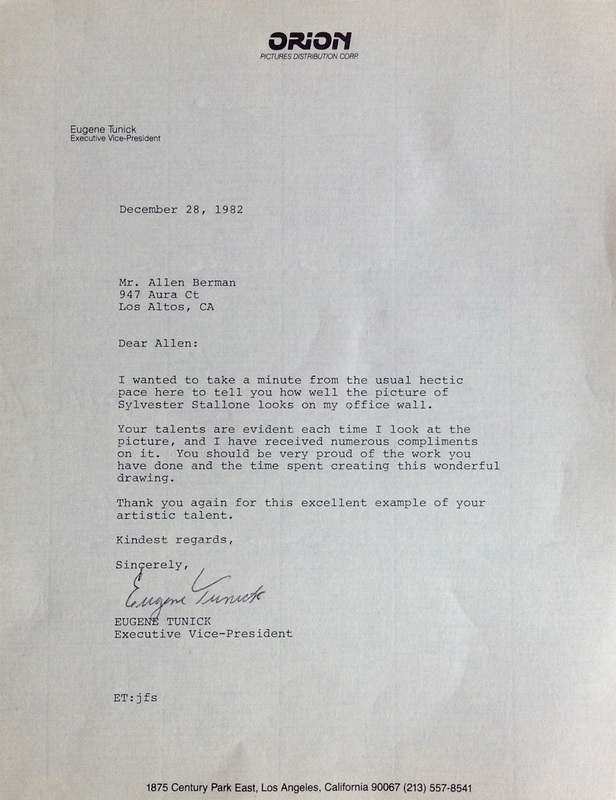 I was honored to get this letter from Eugene, complimenting my work.